Floating live edge top hall table. 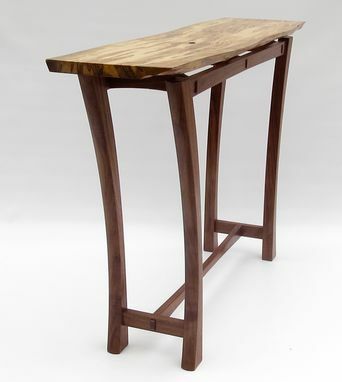 This table has a heavily figured Ambrosia Maple live edge floating top with a Walnut base. 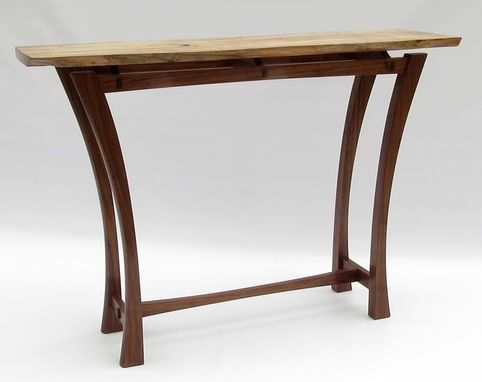 It is 44 inches long by 13 inches wide and 31 inches tall but can be made to fit your needs. 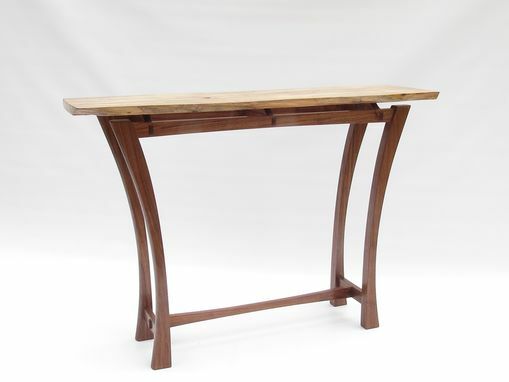 The beautiful hand shaped curved legs and floating top really work well together. 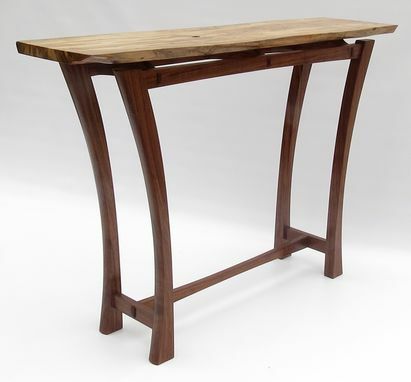 This table is built with traditional mortise and tenon joinery and features some through tenons to show off how well its made. The finished is a hand rubbed oil / varnish blend that gives the wood a beautiful luster while adding protection. You can order this table as is in the picture or you can choose a wood of your choice (domestic hardwood) with the exception of exotic wood which wood come at a higher cost. 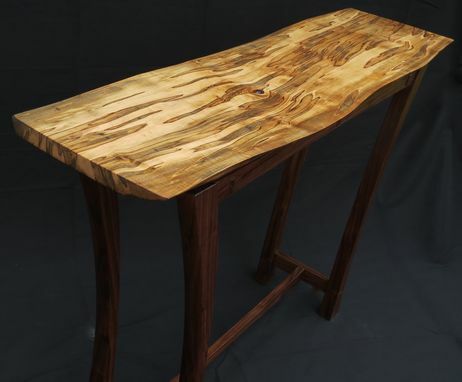 If you want a live edge top like the one in the picture I can do it but it wont be identical as each board is unique. As far as shipping goes I will work with you to find the best and most affordable way to ship this item. You can contact me with all your questions on how we can design this table for you thanks.